1. Create a new data-log script and open it. 2. Fill in the Items and save it. 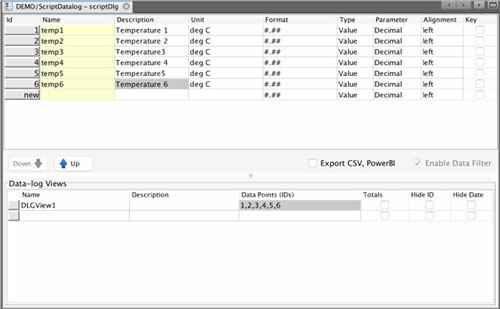 You can also create data-log views for this data-log. Now that your data-log is created, mySCADA will automatically create a historical table, and you can fill in the data from the script. 3. 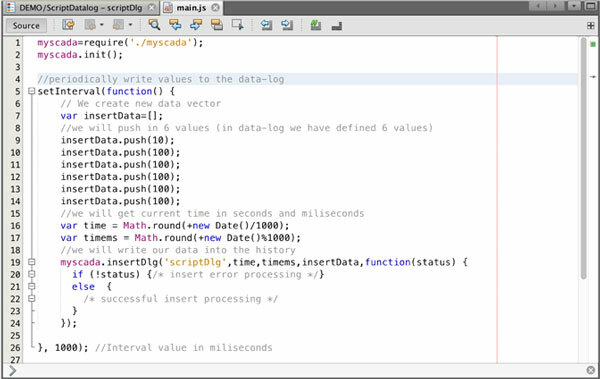 Open a main.js from the Sources folder and fill in the function to log data into your script data-log. 4. You are done; now every second you will get a new row of data in the history.